By 1912, the Men’s League for Woman Suffrage, was gathering force, both in New York State and in chapters that had been proliferating across the country since early in 1910. 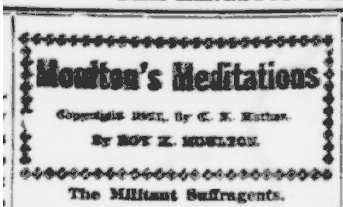 The movement immediately became fodder for the humorists, too, like this “Moulton’s Meditations” column by Roy K. Moulton (1879-1928) that appeared in the July 1, 1912 issue of the Kingston Daily Freeman. Kingston is the seat of Ulster County in the Hudson Valley, about 90 miles north of New York City and 60 miles south of Albany. The likely mythic “Militant Suffragents” he refers to appear to be opponents of women getting the vote. Maybe that’s what tempted modern day supporters of the men’s rights movement to claim a gently chiding moniker, like “suffrage husband,” that was meant the male allies of the women’s cause. 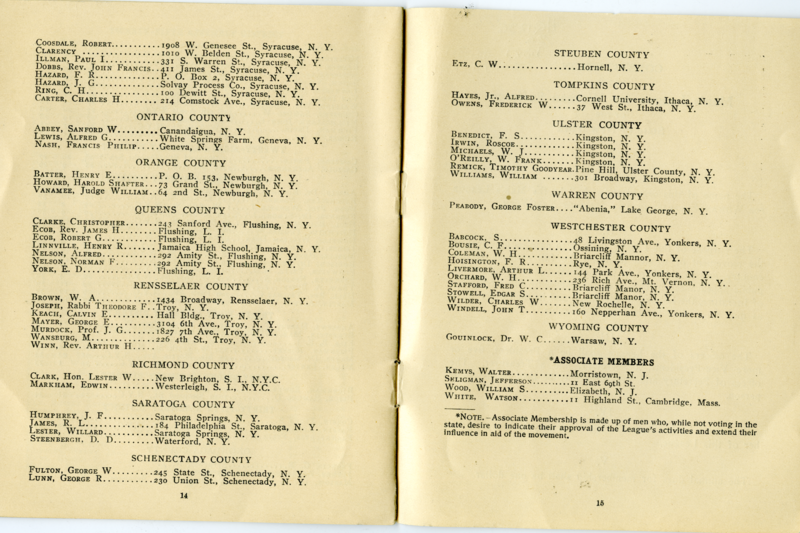 (These pages also show the League members in Ontario, Orange, Queens, Rensselaer, Richmond, Saratoga, Schenectady, Steuben, Tompkins, Warren, Westchester, and Wyoming counties, too.) Manhattan and Brooklyn, understandably, had the largest numbers of members. I like that the booklet lists them by each member’s Electoral, Assembly, and Aldermanic district. That’s a powerful statement of intent, don’t you think? 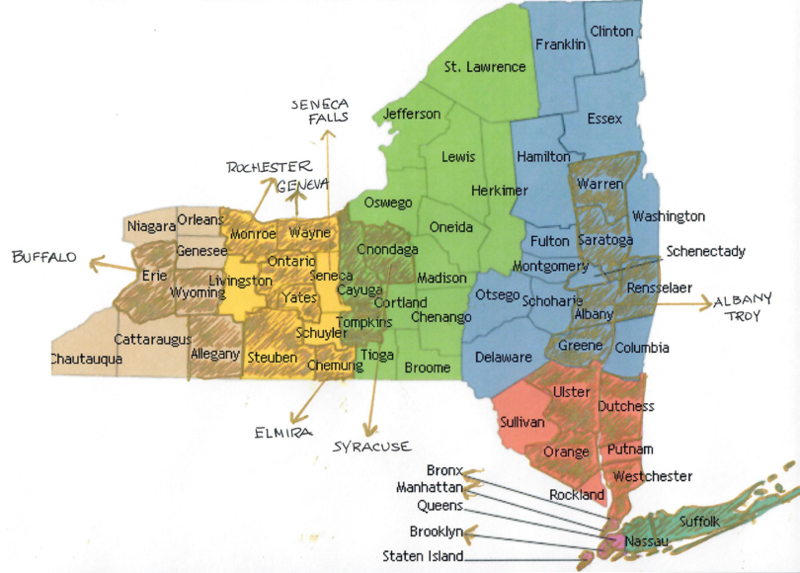 Here is my poorly handcrafted map of where League members resided by 1912 in New York State. I’ve got the rest of the pages with all their names if you’d like to see them.